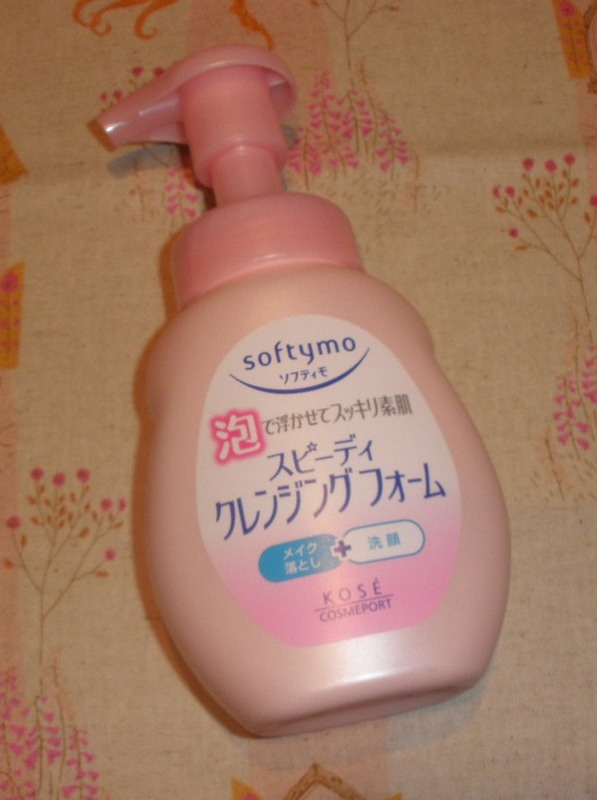 Softymo by Kosé Cosmeport is one of my favorite cleanser brands, their Speedy series is really good and I reviewed some products here on my blog already. I love cleansers that dispense as foam when they come out of the pump so I definitely was interested to try out the new Speedy Instant Cleansing Foam from Softymo. Such cleansers are often gentler to the skin than regular foaming cleanser gels or pastes in my experience. 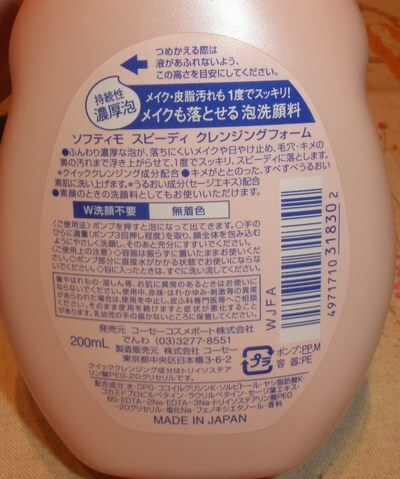 The Speedy Instant Cleansing Foam comes in a nice looking pink bottle with a pump dispenser. The foam that comes out of the pump is a very dense and rich lather scented with the typical Softymo smell (some unobtrusive floral note, think Airy Whip). This is a perfect and mild cleanser to use in the morning or as a 2nd step cleanser after cleansing oil or milk in the evening. I almost used up my bottle by now and this stuff really cleanses my face well it neither dries out my skin nor irritates it the least bit so I can highly recommend this lovely face cleanser! I got my bottle from eBay (Alphabeautyuk), I don´t see it listed elsewhere (yet). I've been a secret reader of your blog for a long time!!! I was wondering if the cleanser really does taking off makeup cause ont he packaging it says to be a makeup remover and a cleanser in one. Kathi, how well does this lather up? I often find that cleansers that come out as a foam don't have good lathering power. Thanks!